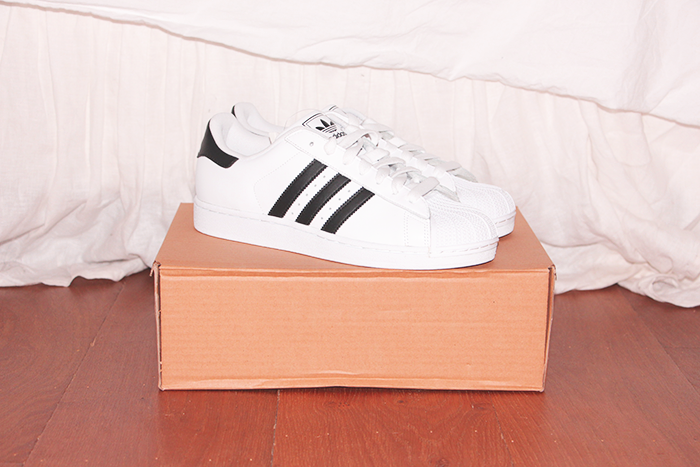 A week ago I finally could order these Adidas Superstar II sneakers. Before they were either sold out, not available in my size, twice the normal price or after my order they still turned out to be out of stock. I never wear gold so that's why I thought these one would suit me better than the original Superstars who have a golden label and superstar written on the side in gold. I have already so many amazing outfits in mind with these shoes and I can't wait to wear them and try them out. I also can't wait until the weather gets better and I can ride my Penny board again. Gave shoess <3 Love it! Wat gaaf en toevallig! 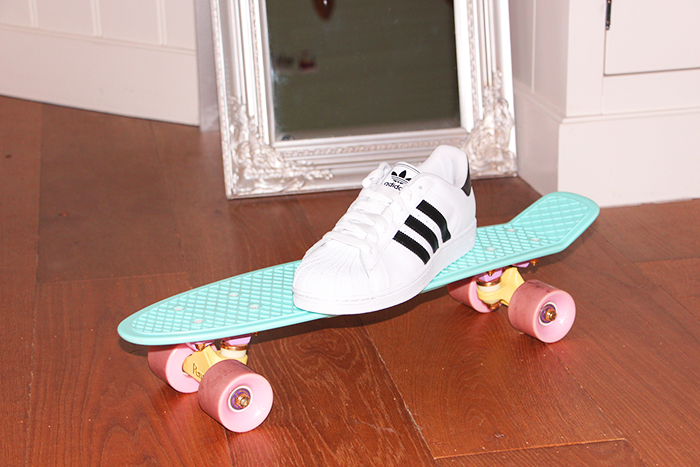 Ik zit er over te twijfelen of ik morgen Stan Smiths of Superstars zal kopen..